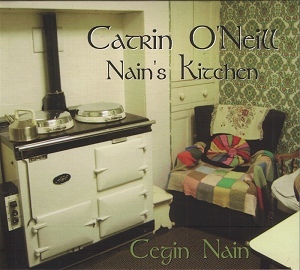 An album of both original and traditional songs by Welsh singer/songwriter Catrin O'Neill. Catrin plays guitar and bodhran, and is accompanied on various tracks by instrumentalists Chris on harp, bouzouki and whistles, Mike Lease on fiddle & bouzouki, and Nathan Lewis Williamson guitar, bouzouki and harmony vocals, with some additional guitar by producer John Perkins. This is the final mix version, released in 2010 on Sparkling Wine Records.